Notes: "Sinkane‘s highly-anticipated new record Mean Love hit the stands... The 10-track LP is the Sudanese-born/Brooklyn-based multi-instrumentalist’s first full-length release since 2012′s Mars... Mars expressed a lot of my African side,” Sinkane told T Magazine. For his new record, he explained in the interview, he wanted to explore his American influences. The first official video to come from the album is a beautifully shot glimpse inside the concrete playground in which Sinkane crafted Mean Love." Sinkane gave us our "Hold Tight" title track back on Episode116 and so we're kicking off ep129 with more new music from his DFA release, 'Mean Love'! Notes: "Reduced now to a two-piece, NYC indie-rock outfit The Drums are back. By the skin of their teeth. Emerging from a mushroom cloud of personal disputes and industry exhaustion, the band that produced student night staple “Let’s Go Surfing” has been cleaved in half. It’s been three-odd years since Portamento, the last record to feature Connor Hanwick, and the lingering enclave of Jonny Pierce and Jacob Graham are seeking reinvention." The return of one my favorites - they're back on an indie label and they're in town next week! Notes: "The new single from L.A.-via-Ireland trio the Rebel Light harks back to the days of bowl cuts and bell bottoms. The trio — brothers Alan and Jarrett Steil and their cousin Brandon Cooke, who initially went by the band name Suddyn — dove headlong into explorations of the sunny ’60s with a self-titled EP released last year and followed it up with the “Jukebox Dream” single. Many retro-poppers are fixated these days on the garage-rock ’60s, but with their “bah-bah-bah” choruses and chiming harmonies, the Rebel Light have pronounced themselves much more “American Bandstand”-ready." Song source KCRW notes that, "L.A. based trio The Rebel Light are furiously working on their debut." Notes: "Michael Fitzpatrick of Fitz & the Tantrums is one of the most dynamic frontmen in the music business, turning heads for his mixture of Motown soul and modern edginess... In the live setting, the [Fitz & Noelle] pair are unstoppable, alternating the spotlight with ease. Last year, Fitz & the Tantrums stopped by KUTX’s Studio 1A and told us that Austin was the final piece in the band’s rise. In 2010, the group attended SXSW for the first time...something clicked." All this week, KUTX is featuring bands that will be playing the Austin City Limits Festival this weekend! Notes: "The song ["Crime"], like the rest of [New Jersey's] Atlas, finds Real Estate at a new peak in terms of performance. In the time between 2011's Days and the 2013 recording sessions for [third album] Atlas, the group expanded to include drummer Jackson Pollis and keyboardist Matt Kallman (formerly of Girls). Their joining, along with the guidance of producer Tom Schick (Rufus Wainwright, Sean Lennon, Low), has resulted in Real Estate's fullest and most live-sounding record to date, an album that has muscle but never feels the need to flex." This is another one sure to show up on many a year-end best list! Notes: "The great Philly psychedelic garage rockers Purling Hiss have a new album called Weirdon coming this month, and today they’ve shared an absolute gem from that record. It’s called “Forcefield Of Solitude,” and it somehow combines a droning art-rock trance with a rollicking classic rock car stereo jam. It’s equally suited for pumping fists or zoning out, so choose your headspace of choice..."
Notes: "'Sleeping Operator' represents an immense creative output... While the record extends into cinematic and other-worldly territories, it maintains a campfire-like intimacy throughout... The [sophomore] album was produced by The Barr Brothers and recorded and mixed by Ryan Freeland (Bonnie Raitt, Aimee Mann, Ray Lamontagne) in Montreal and Los Angeles... Known for their unique orchestrations, the band used a plethora of instruments to embellish this album..." It's the third slice from the Barr Brothers on PUTV and you can check out the live version of this song from our recent session together! Notes: "In the past 15 years, Nashville string band Old Crow Medicine Show has refined its sound from ramshackle to radio-friendly, but there's still plenty of fire in frontman Ketch Secor's fiddle and a joyful noise in at least half the songs on the new album, Remedy... Inducted into the Grand Ole Opry last fall, OCMS is legit country now... Thankfully, the raw Old Crow sound that drew legions of indie rockers to the band's 21st-century updates on old-time misfit folk music is still in effect on "Brushy Mountain Conjugal Trailer"..."
Notes: "Formed while its four members were studying at the New England Conservatory... Bolstering the band's initial barebones lineup of upright bass, trumpet, drums, and vocals with growling electric guitars, lush keyboards, and heftier percussion...with borrowings from other genres, so that "Stop Your Crying" explodes into a vigorous doo-wop sass-attack..." It's the second dose of LSD on PUTV! We had the breakout band's title track to their full-length back on Episode099 and they're playing #ACLfest like right now as I type this! Notes: "Someone needs to do the world a favor and give Robin Thicke this album. Love Can Prevail is what a "get back together" album should be... The New Zealand duo...channeled all of the soul they could muster for this album. Every track drips with emotion, but never feels sappy. Love Can Prevail captures the raw emotion, passion, and confusion of a love on the edge of total loss." Notes: "The indomitable Knowles West boy...new LP for !K7...is titled Adrian Thaws – his birth name – and will be his eleventh solo studio album. According to !K7, the album was recorded in Tricky’s London studio... The decision to put his birth name to the fore on this record was evidently a significant one for Tricky: “Calling it Adrian Thaws is saying you don’t really know me. So many times people have tried to put a finger on me and every album I go to a different place.”" Making his third (but really second officially) appearance on PUTV is a long-time favorite, that Knowle West Boy who I've loved since his '95 debut, 'Maxinquaye'. I even went to Lollapalooza '97 specifically to see him! 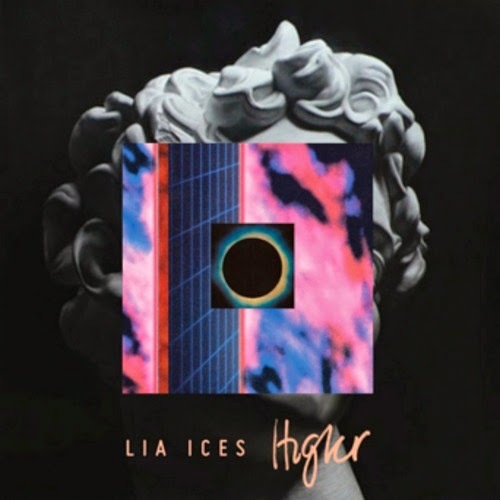 Notes: "Folk music doesn’t really lend itself to innovation... Ices, Lia’s follow-up to 2011’s Grown Unknown release [and third album total] is nothing short of a massive accomplishment in experimental folk music that pays off in the most surprising ways... it’s “Higher”, the third track, that manages to convince the listener that Ices is Lia’s best album to date. With instruments that sound like they were purposefully filtered through an old ‘70s vinyl LP on its last few spins..."
Notes: "This Argentina-born Portland-based singer/songwriter has been sharing music for over twenty years now... Since relocating to the Pacific Northwest in 1994, Fernando found his voice, recording his rootsy, Tex-Mex-tinged, country rock, with lyrics in both English and Spanish... The good news is, he’s healed from a throat surgery that could’ve silenced him forever, and he’s just finished his eighth album, Leave the Radio On. The triumphant comeback album features guest appearances from Peter Buck and Scott McCaughey (R.E.M, Minus 5, Baseball Project), alongside other prominent musicians from the Portland scene. Though the album won’t hit stores until November 1st, a digital version is available now." Kick your weekend off with an awesome new @alunageorge song called "Supernatural"
Mogwai (@mogwaiband) announce new EP; hear their three-minute basher "Teenage Exorcists"